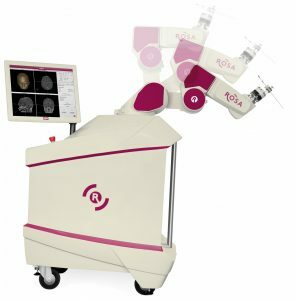 Contribution to financing of the robot RosaTM in neurosurgery. The project is piloted by Professors Benoît Bataille, Michel Wager and Philippe Rigoard, neurosurgeons at the Poitiers CHU. Rosa will change the lives of patients suffering from Parkinson’s disease. Behind this female name hides a robot fitted out with ultra-innovative technology, a robot destined to become the ally of the neurosurgeon during deep brain stimulation (DBS) procedure. Piloted by Professors Benoît Bataille, Michel Wager and Philippe Rigoard, neurosurgeons at the Poitiers CHU, the project has been selected by the scientific committee of the Aliénor endowment fund as a financial beneficiary. As a first step, the robotic arm will be used in neurosurgery to treat Parkinson’s disease. “In Parkinson’s cases, a patient treated with the robot will see his health improve by 70%”, announces Professor Bataille. It bears mentioning that the patients eligible for an operation with Rosa will have to present a strictly defined clinical profile, and that the neurosurgery department will not perform more than 25 deep brain stimulations a year. Similarly to a GPS device, Rosa will guide the neurosurgeon as he implants in the patient’s brain the electrodes applied for therapeutic purposes. For Professor Bataille, the acquisition of Rosa represents a major advance in treatment and management of the patient: “Operating time is reduced, convalescence is shorter. 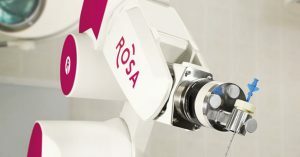 Rosa functions with an O-ARM, a preoperative scanner. The device calculates with greater than millimeter accuracy the spot where the robot is to implant the electrode”. In addition, Rosa will be used for brain biopsies and to guide an endoscope in the brain. 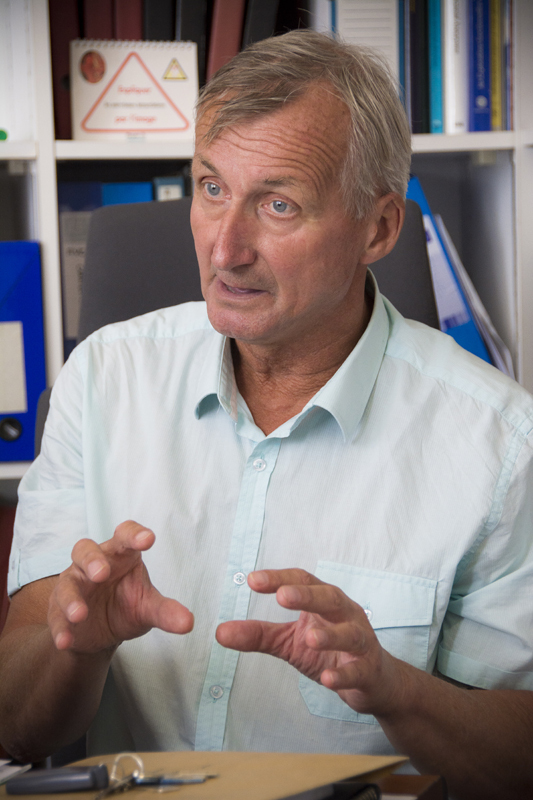 On a longer-term basis and with the assistance of Doctor Philippe Cam, Professor Bataille intends to use Rosa in treatment of other neurological pathologies such as obsessive-compulsive disorder, mental anorexia and Alzheimer’s disease. Professor Benoit Bataille has been head of the neurosurgery department of the Poitiers CHU for ten years. Following his medical studies in Tours, he joined the the Poitiers CHU in 1980 and became a university professor in 1998. He dedicated himself to the study of deep brain stimulation (DBS), which can be used in treatment for Parkinson’s disease, OCD and depression, before focusing on gliomas and meningiomas. Share the post "Financing of the RosaTM robot in neurosurgery"